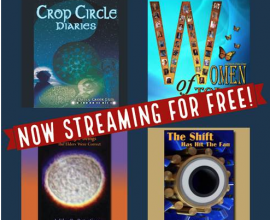 "Review of Patty Greer Films by Reverend John Polk 9/21/17"
I had the soul expanding opportunity to interview 8 time award winning film maker and the world’s foremost expert on crop circles, Patty Greer on September 20, 2017. 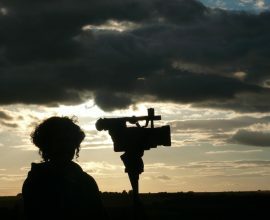 As I am a thorough researcher, I read every word of her website cropcirclefilms.com and watched all the video trailers. I was totally impressed. The site is very comprehensive and professionally designed. More importantly, the complex science and spirituality behind the crop circle phenomenon is presented in such a fashion that even a novice in this field can gain at least a basic working knowledge of it. A major misconception by ufologists is that most of us are of the mind that UFOs create crop circles. I did not understand how wrong I was until I reviewed Patty's website and conducted the interview with her. It never entered my mind that the supernatural mother Earth spirit was an integral part of crop circle creation. Pair that with spinning plasma vortices made up of different frequencies with distinct boundary conditions. Then, the real kicker for me was that all frequencies carry information, which I knew, and that all plasma communicates using binary code, which I did not know. What a fascinating revelation for me. 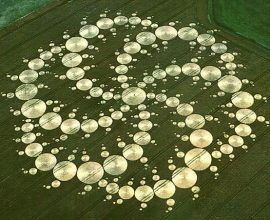 Crop circles are mother Earth’s way of communicating with the world. Additionally, most crop circles are located on ley lines with aquifers underneath. Plus, seeds in crop circles are the answer to our world’s food shortages, eating healthy and bio-fuel. Patty’s findings are perhaps the most important reveal in modern human history. It is now our responsibility to assist Patty in helping to save this planet. That to me is what is most important to her. So, let’s all band together as a race, the human race, which we are all a part of, and proliferate her knowledge and information globally because the powers that be will bury this reality forever if we don’t."